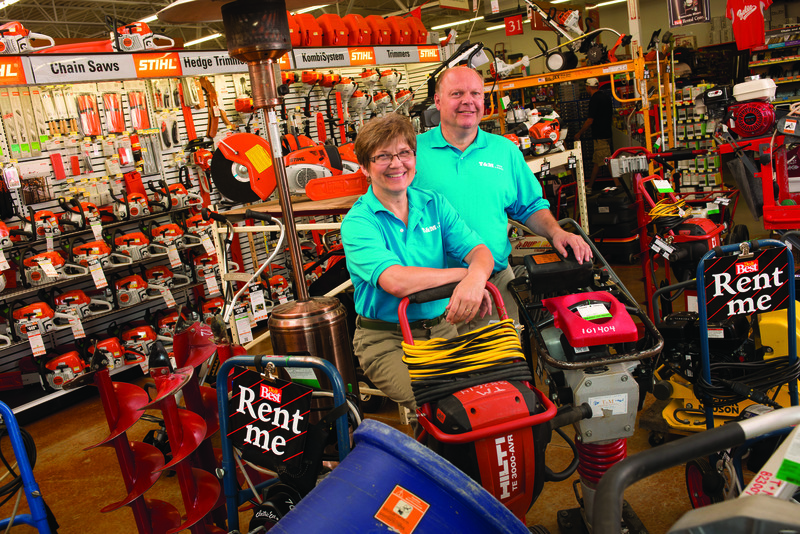 In the greater Pittsburgh area, T & M Hardware has a fitting motto: “Let us help you build, maintain and entertain where you live.” The locally owned hardware business offers everything from nuts and bolts to equipment and party rentals, helping customers conveniently find the items they need to build their dream homes, tree houses and more. All the while, T & M hardware is building something much greater – a legacy in the local community. When Tim Post left his job as a traveling salesman, he sought a career that would keep him closer to his wife and four children. 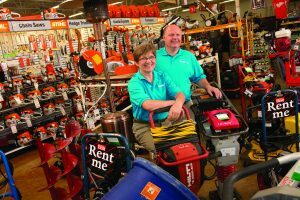 In 1991, that new career path would become the first T & M Hardware store in Ellwood City, Pennsylvania. 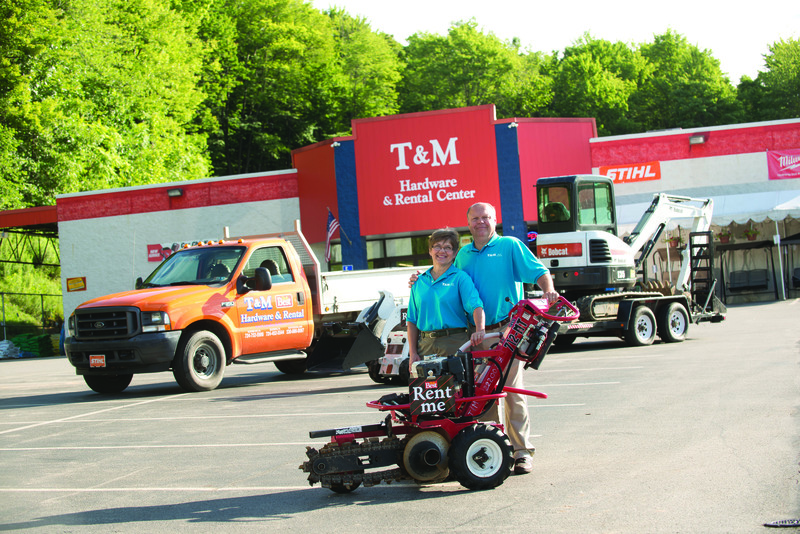 As daughter and now Marketing & HR Manager for T & M Samantha Post recalls, Tim and his wife, Mary, have spent their years as business owners wearing many hats. “After about 10 years with one store, we went from one store to six stores very quickly,” she says. While running and growing the business, Tim also coached youth baseball and basketball teams, and Mary volunteered as a substitute teacher. It seems like wearing many hats runs in the family. Samantha works as T & M Hardware’s marketing and human resources manager. She also works with the Make-A-Wish Foundation, and she is on the board of directors for the Bellevue Initiative for Growth and Revitalization, an organization that promotes the growth and revitalization of her local community. Meanwhile, Samantha’s younger brother, Scott Post, also works for the family business, as sales and rental manager. Like his father, Scott has now coached youth baseball teams, including a special needs team. Quite litera lly, that philosophy has allowed the Post family to build more than just a successful business. 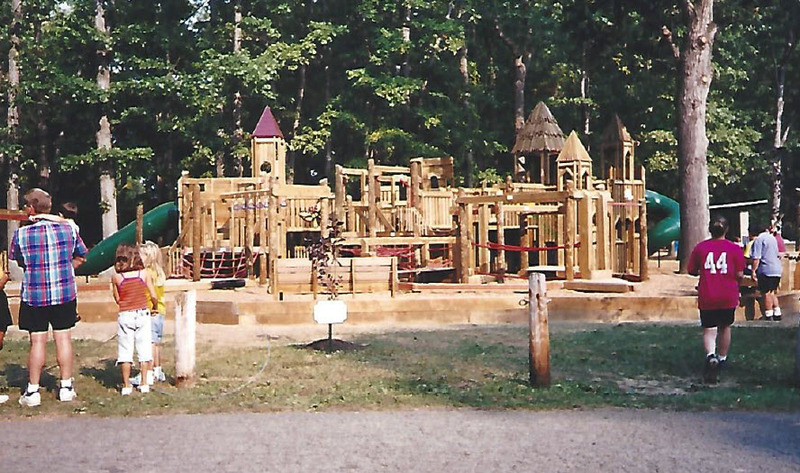 Next year, the Ellwood City community will celebrate the 20th anniversary of its beloved Kids Created Kingdom, a playground in a local park. 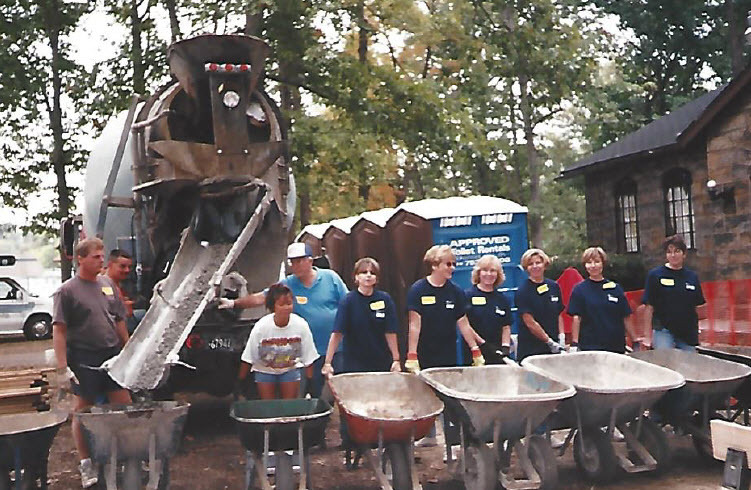 The playground and the upcoming anniversary hold a special meaning for T & M Hardware, as Tim helped to spearhead the playground’s development. “I’m proud to have built a successful business with my family,” Tim says, “but the most rewarding project, by far, has been the playground. Kids Created Kingdo m was a community effort, thanks in large part to Tim’s legwork. To mark the 20th anniversary next year, the community plans to unearth a time capsule that was buried in the park when it opened. Each of the local elementary schools contributed items to the time capsule. “As a local business, we ask the community to invest in us,” Tim says. “If we do that, we have to support our community.” For T & M Hardware, supporting the community clearly means building something that will last. For more information about T & M Hardware, visit www.tandmhardware.com. Read more about community support, Do it Best Corp, family owned business, independent hardware stores, Indie Acts of Kindness.